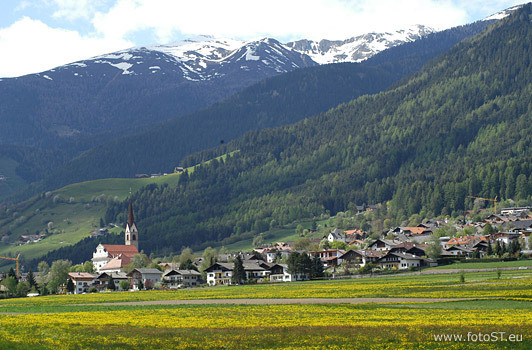 Surrounded by the majestic mountains of the Val Anterselva and the Val di Fundres on the so-called sun terrace of the Kronplatz region lays the probably most beautiful village of this area, the picturesque village called Falzes. Here, along the sunny road of the Val Pusteria guests can enjoy breath-taking views and numerous recreational offerings. An insider tip: a visit of the mountain pine distillery „Bergila“; here you can experience the traditional way of distillation of essential oils. The fist-class accommodations in Falzes / Pfalzen, an excellent service and the original delicacies of the South Tyrolean cuisine will light up your days in this region.